Below you can view all the homes for sale in the Wallis Farms subdivision located in Marietta Georgia. 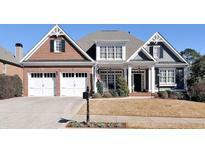 Listings in Wallis Farms are updated daily from data we receive from the Atlanta multiple listing service. To learn more about any of these homes or to receive custom notifications when a new property is listed for sale in Wallis Farms, give us a call at 404-998-4102. Swim-Tennis Offered By Nearby Latimer Farm. MLS#6515875. Atlanta Communities. Private Backyard For Entertaining, Full Basement For Future Expansion. MLS#6125987. Keller Williams Realty Signature Partners. Oversize Master With Sitting Area, Come Check Out This Amazing Luxury Home! MLS#5984081. Optimus Real Estate Brokers, Inc..